The judgment today in McGann v Bisping  EWHC 2951 (Comm) involves multiple issues in relation to civil evidence, procedure and witness credibility. Here I want to look at just one issue – the failure to serve a notice under CPR 32.19. This makes it clear that the requirement appears to be unknown, or routinely overlooked. The judge had to consider the Denton principles in order to allow the defendant to dispute the authenticity of a document that was central to the dispute. 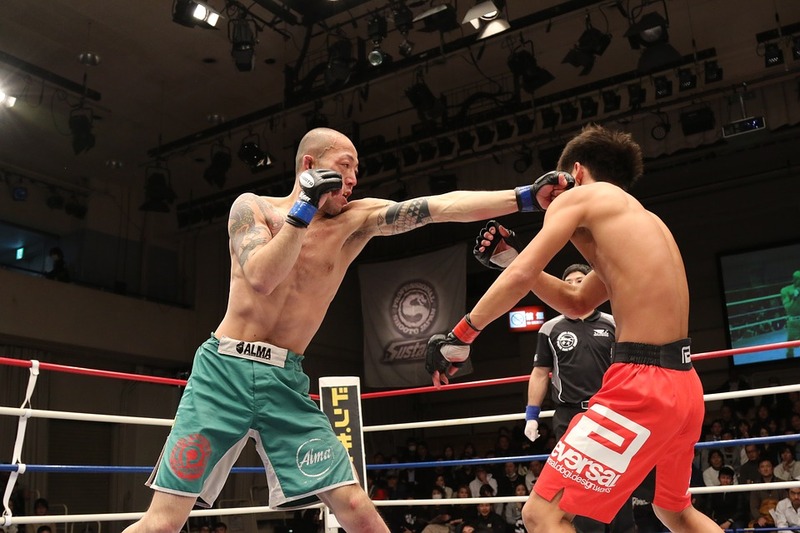 The action was a dispute between an agent and a mixed martial arts fighter. There was a claim for arrears of commission and repayment of expenses. The defendant disputed the validity/authenticity of an agreement relied upon by the claimant. However the defendant had not served a notice under CR 32.19. (b) at all material times the Defendant understood that he was managed not by the [Claimant] personally, but by Wolfslair Promotions Ltd .. with which company the Defendant believes he signed a management agreement in or around May 2005. The Claimant is accordingly put to strict proof that the Claimant is the proper claimant for any management fees .. It has therefore been plain since April 2013, on the face of the Statements of Case, that the authenticity of the Management Agreement was in issue, and was a matter which Mr Bisping required Mr McGann to prove. The Management Agreement was disclosed in Mr McGann’s first disclosure list served on 15 November 2013. The witness statements thereafter served by the parties reflected the fact that the authenticity of this document was in dispute. Mr McGann gave evidence about the execution of the Management Agreement in his first witness statement dated 25 March 2014, and served witness statements from Mr Lee Gwynn (dated 6 March 2014) and Mr Mike Wood (dated 16 March 2014) to the effect that they had witnessed the execution of the Management Agreement. Mr Bisping’s first witness statement, dated 31 July 2014, contained evidence (in paragraphs 20 to 23 and 49) supporting his pleaded case that he had not signed the Management Agreement in July 2005, but had signed a different agreement with “Wolfslair” in May 2005. 7A. .. It is not admitted that the Management Agreement was signed by the Defendant and it is also not admitted that the Management Agreement in the form relied upon was presented to the Defendant for signing and accordingly it is not admitted that any of the acts relied upon amount to acceptance of the offer said to be contained in the Management Agreement by conduct ..
As to the invoices and other documents relating to expenses, Mr Bisping’s Re-Amended Defence & Counterclaim was even more blunt, pleading in terms in paragraph 30A that the letters that were alleged to have enclosed the invoices “are recent fabrications made in support of these proceedings and were not created or sent at the time they purported to have been” .. “A number of the supporting documents are patent fabrications” .. “The remainder of the supporting documents have been recently created by or at the request of the Claimant for the purposes of these proceedings” .. “The claim for expenses herein against the Defendant is bogus and without foundation”. Again, the witness statements served on behalf of the parties amply demonstrate that both sides considered that the authenticity of these documents was a live issue. Mr Graeme McPherson QC (the leading counsel then instructed on behalf of Mr McGann) prepared a 53-page Written Opening Submission dated 4 October 2015 for use at the trial listed to begin on 5 October 2015. It is plain from the terms of that document that the case then being put forward on behalf of Mr McGann was that the authenticity of the Management Agreement and of the various invoices and supporting documents relied on by Mr McGann was in dispute, and that these matters were issues that the court would have to resolve on the evidence at trial. Mr McPherson QC’s Written Opening Submission made no reference to CPR 32.19. It therefore seems clear that, until the moment that Mr Lawrence and Ms Roberts served their Written Opening, both sides had been preparing for trial on the shared assumption that the authenticity of these documents was in issue. Unlike its predecessor, RSC Ord 27 r 4, CPR 32.19 contains no proviso dis-applying the rule in the case of any document “the authenticity of which the party has denied in his pleading”. Nor does it expressly say that the rule applies only “unless the Court otherwise orders”. I accept the submission of Mr Lawrence that this is a mandatory provision, the purpose of which is to ensure that the parties and the court know, beyond question, whether the authenticity of any given document is a matter in dispute. Merely putting the other party to proof in a Statement of Case of the authenticity of a document does not satisfy the requirements of the rule: see Mumford v HMRC. Nor are those requirements satisfied simply by a challenge made in a witness statement. Such a challenge would, in any event, be likely to come after the date specified in CPR 32.19 for the giving of notice, and so be too late for the issue to be dealt with satisfactorily in the witness statements of the other party. Since it is common ground that any notice under CPR 32.19 ought to have been served at the latest by 29 August 2014 (the latest date for serving witness statements) and that no notice complying with this rule has been served at any point, it follows that CPR 32.19 now deems Mr Bisping to have admitted the authenticity of these documents, despite both his pleading and evidence to the contrary, and despite the assumption shared by both parties until very recently that these matters were to be in issue at trial. In Mr Lawrence’s submission, that is the end of the matter. Under CPR 3.8(1), the consequences prescribed by CPR 32.19 have effect unless and until Mr Bisping applies for and obtains relief; and Mr Bisping has neither applied under CPR 3.2(2)(a) for an extension of time for service of notice under CPR 32.19, nor made any application under CPR 3.9 for relief from sanctions. 21.1 I must first consider the seriousness and significance of Mr Bisping’s failure to give the required notice. In my judgment, it was neither serious nor significant, on the particular (and perhaps unusual) facts of the present case. Mr McGann and his advisers were not misled by the failure, nor did the failure had any material effect on the orderly progress of the action. The parties, very sensibly, treated the pleading in paragraph 2 of the Defence as a sufficient indication that the authenticity of the Management Agreement was in dispute, and shaped their evidence on that basis in accordance with the timetable laid down by the court. They acted similarly in relation to the invoices and other documents relating to expenses, when these were eventually disclosed. 21.2 I must then consider why the default occurred. It seems to me to be plain that it occurred because of ignorance of the rule (an ignorance apparently shared by Mr McGann’s legal team, at least until the instruction of Mr Lawrence and Ms Roberts) rather than because of any deliberate default. 21.3 Finally, I must consider all the circumstances of the case, giving particular weight (in accordance with the guidance given in Denton) to the need for litigation to be conducted efficiently and at proportionate cost and to enforce compliance with rules, practice directions and orders. In considering all the circumstances of the case, it seems to me to be of particular significance that both parties prepared for trial, both in 2015 and 2017, on the basis that the authenticity of these documents was in issue, and that Mr Bisping was not precluded from challenging their authenticity by any deemed admission. It follows that all of the costs in relation to those issues (except for those relating to time spent on the point at the hearing itself) had already been incurred by the time that Mr McGann’s legal team took this point. In my judgment, to permit them to do so now would be unjust, and contrary to the overriding objective set out in CPR 1.1 of dealing with cases justly and at proportionate cost. CPR 1.3 requires the parties to help the court to further the overriding objective. As the Court of Appeal stated in Denton: “Litigation cannot be conducted efficiently and at proportionate cost without .. cooperation between the parties and their lawyers”. That is particularly so in the Commercial Court (of which The London Mercantile Court forms part) where, as is stated in paragraph A1.6 of The Admiralty and Commercial Courts Guide “The Court expects a high level of co-operation and realism from the legal representatives of the parties”. There is, of course, no general duty on parties to point out to their opponents the procedural mistakes that those opponents have made. However, where a party intends to take a procedural point which, if correct, will mean that costs are being wasted by the other side, the duty of cooperation under CPR 1.3 requires that party to take the point promptly. On the facts of the present case, the high level of realism and co-operation required of parties to commercial litigation should have involved Mr McGann’s legal team in giving notice of this point (if it was to be taken at all), either in correspondence or at one of the many case management hearings which took place, at a time well before the significant costs of dealing with these issues had already been incurred on both sides. I do not think it likely that Mr McGann’s legal team were alive to this point from an early stage, and deliberately held back from taking it in the hope of procedural advantage. On the contrary, it seems to me to be probable that, prior to the instruction of Mr Lawrence and Ms Roberts, they shared the ignorance of CPR 32.19 displayed by Mr Bisping’s legal team. Nevertheless, for Mr McGann’s legal team to take the point at this very belated stage, in the hope of obtaining a “windfall” advantage in the litigation, is in my judgment contrary to the spirit in which commercial litigation should be conducted.